Have I mentioned how awesome horses are? Because they really are. So much so, that they have their own set of disciplines and sports within the Olympic Games. Equestrianism has been a part of the Summer Olympics for more than a hundred years and horse racing is slowly but surely gaining popularity thanks to its avid followers who always look up Cheltenham sign up offers and like to test their luck with betting. Here are some of the events our excellent equestrian athletes excel at which might help you see how well your sports predictions go. The word comes from the French language, roughly meaning ‘training’. It is a sport of elegance, memory, and grace for both the horse and the rider. The judges make their call and grade each performance on a scale of 1 to 10. 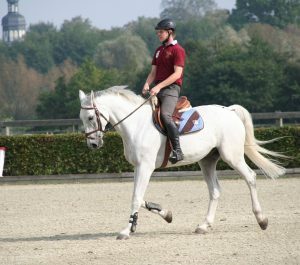 The rider should be relaxed, and the horse should do at least most of the work. It’s not just trotting and bows that make this an Olympic event – there are several movements that are very complex to perform. Take the pirouette, for example. The horse is expected to do a perfect 360-degree turn at the canter. This was one of the rare things I followed on sports TV channels. In a course, there are several obstacles. The horse and rider work as a team to make the horse jump over the obstacles. It’s not just jumping that’s being judged. There is also the level of commitment and energy the horse is displaying, as well as the rider’s own movements. To go through a course, you must follow the predetermined order of obstacle jumping. There are up to 16 obstacles and all of them present a challenge to the horse. Points are deducted if you need extra time to finish, if you can’t jump over the obstacle (and even if you just barely touch it), if you fall down, and so on. There are tricky turns as well. This one is where the endurance is the quality the judges are looking for. It’s a 6 km race with various obstacles put in place to hinder your progress. While the obstacles are usually built out of natural material, like wood for example, sometimes unnatural colors and shapes are added to the obstacles to test the horse’s valor. It’s not as bad as it sounds, as there are several obstacles with a mark that informs the riders that they are optional and that the riders can avoid them without penalty, should they so choose. This is a combination of three previously mentioned disciplines. It’s an Olympic event where a horse and rider test their mettle against dressage, jumping, and cross-country over a period of three days. 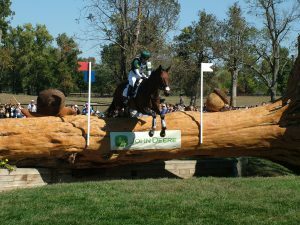 There are two variants at the Olympics – individual eventing and team eventing. As crazy as it may seem, there has been a lot of quirks in equestrianism since it was introduced as an Olympic event in 1900. Here are a few fun facts you might enjoy. Up to 1950s, equestrianism was practiced almost exclusively by the military, and not the military in general. This privilege was reserved for officers only. All of the tricks, races, show jumps and the like were there to display the horse’s obedience that could rival that of a soldier on a battlefield. The change came about in 1952, where civilian men were allowed to participate in all events, and women got the chance to display their skills in dressage. 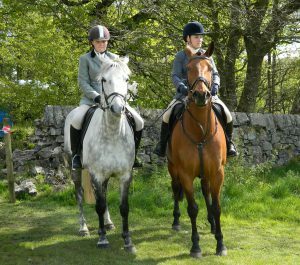 It wasn’t until 1964 that women were allowed to take part in equestrianism on equal footing. Sixties were wild, and not just for the humans. Until 1972, there was no rule against using drugs to improve a horse’s performance during an event. This means that, up until then, the horse could have been on some heavy-duty cocktails and the result would still be accepted and legal.